An invitation to enter the enchanting world of Jaquet Droz, to discover the magic of Time through extraordinary creations blending design, materials and craftsmanship with the most incredible refinements of mechanical watchmaking. 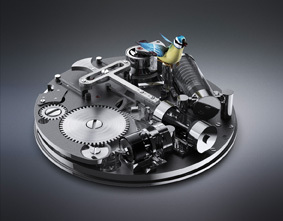 The story of visionary genius Pierre Jaquet-Droz and his nature-inspired universe lives on in the desire to cherish this spirit of audacity, aesthetics and excellence which today tells its own unique story in the world of luxury and fine watchmaking. To wear a Jaquet Droz watch is to embody this story, and also to tell another: a story unique to each exceptional timepiece, whose meticulously assembled miniaturized mechanisms breathe life into dials steeped in poetry. Jaquet Droz brims with boundless emotion and poetry, day after day paying homage to the watchmaking audacity, avant-garde aesthetics, innovative spirit and culture of excellence that have been ingrained in the brand’s DNA from the outset. Its 280-year anniversary is the perfect occasion to spotlight the brand’s first iconic model, created by founding genius Pierre Jaquet-Droz, whose passion drove him daily to push the boundaries of creativity a little further. The Grande Seconde “Tribute” collection takes pride of place in the anniversary celebrations, with the addition for the very first time of an exclusive yellow gold model in a limited edition of 88 pieces, each distinguished by an individual serial number enameled in red on the dial. As always, Jaquet Droz knows how to balance innovation with aesthetic appeal, juxtaposing in the components of the watch, silicon – a highly sought after watchmaking material due to its high resistance and anti-magnetic properties – with yellow gold, a symbol of utmost refinement. 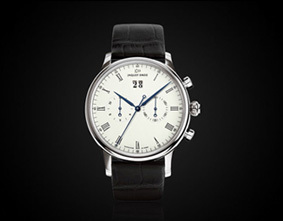 The Grande Seconde “Tribute” is a timepiece steeped in Jaquet Droz tradition. Signature features include the ivory Grand Feu enamel dial, hand guilloché work, and two engraved stars symbolizing the timeless heritage of the brand’s founder and his son. 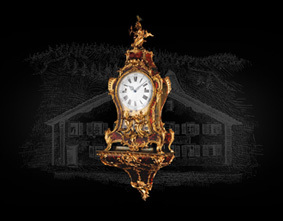 This masterpiece of craftsmanship proves that the art of time is perpetual poetry, rendering every moment sublime. Pierre Jaquet-Droz was born in 1721 on a small farm (La Ferme de Sur le Pont). 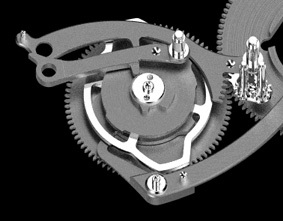 He began to take a serious interest in clockmaking and precision mechanics under the tutelage of older relatives. From 1738 to 1747, he devoted himself entirely to clockmaking. He produced a series of longcase (or “grandfather”) clocks whose increasingly sophisticated movements outclassed anything that had yet been produced, soon attracting the attention of a rich and demanding clientele. In 1758, Pierre Jaquet-Droz had the opportunity to present his clocks to King Ferdinand VI of Spain. The presentation was a triumph; the monarch and his court were dumbfounded at the sight of a clock that could strike on request without needing manual intervention. In 1775, the first android automatons (The Writer, The Draughtsman and The Musician) traveled from La Chaux-de-Fonds to Paris, where they were presented to Louis XVI and his queen Marie-Antoinette. They went on to be shown at the principal courts of Europe, with visits to London, the Low Countries and Flanders, all the way to Russia. 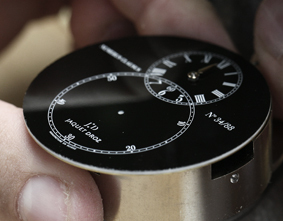 In 1774, Pierre Jaquet-Droz set up a workshop in London, a hub for industry and trade. He entrusted its management to his son Henri-Louis and to Jean-Frédéric Leschot, who was tasked with overseeing the business relationship with prominent trading company James Cox London, whose agents in Canton provided access to the Far Eastern market and represented the brand in China, India and Japan. To perpetuate the ancestral tradition of fine decoration that Pierre Jaquet-Droz established, by steering a course for it through time and modernized it – such is the challenge that the watchmaking firm’s artisans must meet. 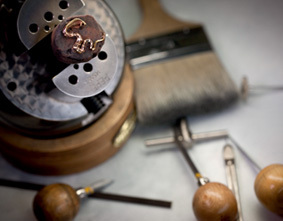 The arts of painting, engraving, sculpting, paillonné and even enameling are worked in miniature and integrated into timepieces that thus become genuine works of art. Magnifying the beauty of nature and its countless inspirations is a never-ending quest for Jaquet Droz, brought to life in the creation of singular masterpieces – marvels of refinement and sensuality. Beauty and rarity come together in a range of models, highlighting the most noble of materials, such as pearls, precious stones and minerals, or revealing unique colors synonymous with heart-felt emotions. Whether in the purest and simplest form or the most elaborate and extravagant, each ladies’ creation is an invitation to imagine, unveil and define the glamorous, luxurious spirit of both today and tomorrow. For nearly three centuries, Jaquet Droz has placed time under the banner of astonishment, excellence and constantly renewed creativity. 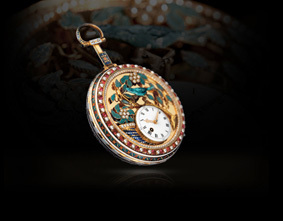 In the 18th century, the Jaquet-Droz family were pioneers in the art of luxury decoration. They supported an entire generation of craftsmen through their work. Enameled cases embellished with paillons, painting, and sculpted and engraved ornamentation contributed enormously to their success and their fame. Pocket watches, urns, snuffboxes and cages for mechanical singing birds – all these masterpieces were elaborately decorated. 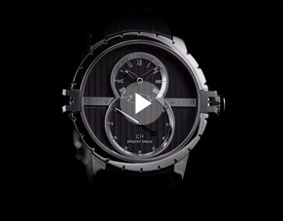 To this philosophy of the unique, the brand has added the dimension of exclusivity, and to this day allows discerning clients to customize timepieces to their tastes, paying tribute to the tradition of the Jaquet Droz Ateliers d’Art. 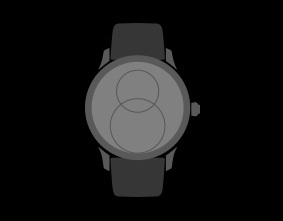 To wear a Jaquet Droz watch is to embody this story, keeping alive the unique work of the brand’s designers, artisans and watchmakers.